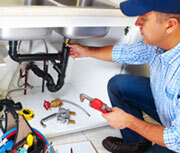 Faucet Repair NJ – Leaks are typically caused by faucets that have become loose through daily wear and tear. Often, a simple tightening of a packing nut or the addition of a new O-ring can stop a leak that is coming from the faucet handle. 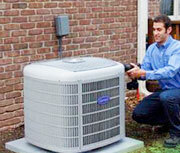 Sometimes a sealant fails, requiring a replacement on an inlet or outlet. 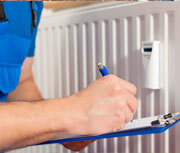 These tasks are easy to accomplish yourself, but can also be done by a Roto-Rooter plumber. 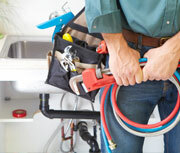 Our plumbers carry commonly needed parts such as inlets, outlets, O-rings and other sealants to enable them to easily fix a leak that requires such a simple adjustment. Some kitchen faucets do require specialized parts, which may involve some time to replace. If you call Aladdin Plumbing & Mechanical plumber to fix your kitchen faucet leak, the plumber will establish what parts are needed and order them for delivery as soon as possible so your family can get back to regular use of the kitchen sink. There are four kinds of faucets: compression, cartridge, ceramic disk, and ball type. A compression faucet relies on rubber washers to seal the valve seat. Rubber washers wear out and must be replaced occasionally. The other types, often called washerless faucets, last longer but they too can develop leaks. When these cartridge, ceramic-disk or ball-type faucets leak, you can either replace the O-ring or neoprene seal that’s causing the leak or replace the entire assembly.